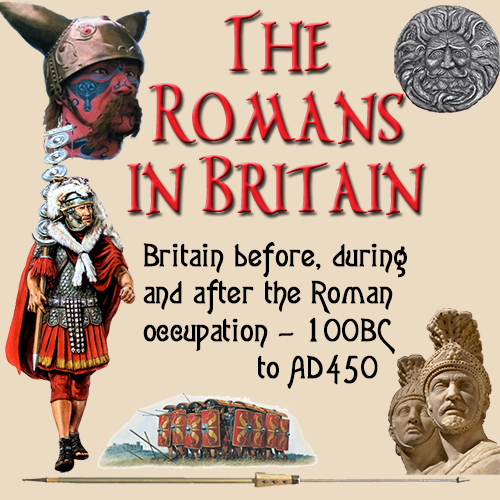 The main fighting unit of the Roman army was the legion. During the first three centuries of the empire the army contained between 25 and 34 legions. Each legion was made up of about 5000 men recruited from the citizens. Although the soldiers of the legion were Roman citizens, they were drawn from all walks of life and legions often consisted of natives from conquered countries..
Each legion carried a number and a name, e.g. Legio X Gemina (the tenth 'twin' or 'double' legion), to which honorary titles like pia fidelis (dutiful and loyal) could be added. The numbering and naming of units followed no rational pattern. As many of the formations originated in the various armies of the civil wars following the death of Julius Caesar, several legions carried identical numerals or nicknames. Even new legions that were formed were named and numbered according to the fancies and whims of the emperor. The sense of individuality provided by these numbers and titles was reinforced by the use of different unit symbols and signs like bulls, boars or capricorns. Click thumbnail for full size view. The strength and organisation of the legions changed over time and was uniform throughout the army. Generally speaking however, the legio was organised in ten cohorts. These cohorts consisted each of three manipuli, literally 'handfuls', which were in their turn subdivided in two centuries or 'hundreds'. These centuries were made up of a number of contubernia or 'tentparties'. Although the name century would seem to indicate a unit of a hundred soldiers, this unit could comprise anything from 30 to over 200 troops. The usual establishment strength however is reckoned to have been 80 men. From the second half of the first century AD in at least some of the legions the first cohort was reorganised in five double strength centuries while the remainder continued to be organised in the old manner. In addition to the regular organisation of cohortes, manipuli and centuries, there were other sub-units for the equites legionis? ? the legionary cavalry - and the antesignani or lancearii, the legionary light infantry. The exact details of their organisation is still unclear even today. For a variety of duties provisional units known as vexillationes or numeri were formed. The strength and organisation of these provisional units varied greatly and was only in part based on the more regular subdivisions within a legion. Each legion was designed to be a self contained team and usually contained 4,200 men; and 300 cavalry. The ranks could increase to 5,000 men if needed. There was a rigid framework and chain of command as shown here. This is very much a simplified view of a legion. Cohort A unit within the legion. There were 10 cohorts in a legion. The first cohort was twice the size of the other cohorts. A unit in a legion where the soldiers had special skills. E.g. bridge building, engineering, administration etc. Centuriones lanceariorum The leader of the legionary infantry known as antesignani or lancearii.